All Stanton homes currently listed for sale in Stanton as of 04/26/2019 are shown below. You can change the search criteria at any time by pressing the 'Change Search' button below. If you have any questions or you would like more information about any Stanton homes for sale or other Stanton real estate, please contact us and one of our knowledgeable Stanton REALTORS® would be pleased to assist you. 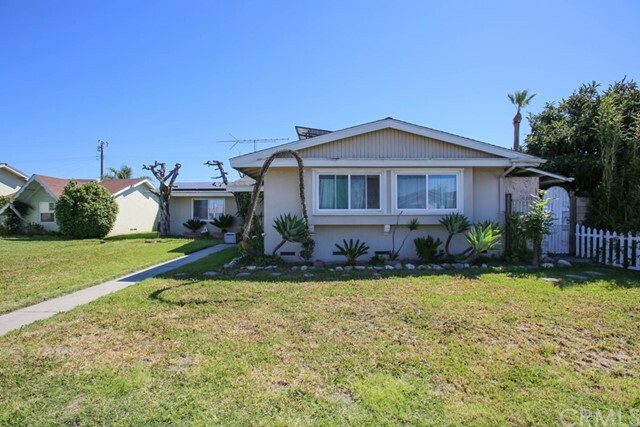 "sold with lot 7401 katella and 7421 Katella ave in stanton. both lots are about 1.14+ acres lots sold together 079-371-26 and 079-371-27 along with small lot 079-371-015"
"REDUCE FOR QUICK SALE ! BEAUTIFUL TOTAL REMODELING HOME WITH : NEW LAMINATE FLOOR , NEW INTERIOR PAINT, NEW GRANITE COUNTER TOP , NEW DOUBLE PANE WINDOWS , LOTS OF FRUIT TREES IN HUGE 9,400 SF LOT . EXCELLENT INVESTMENT CURRENTLY FOR RENT $ 4,000 / MONTH . THIS IS A TRUE GEM !" "Look no further...Gorgeous Family Home with style and comfort...no detail spared. Front Courtyard Patio to Entry door leads to Foyer and your Dream Kitchen. Travertine floors in kitchen open to an expanse of storage, granite countertops, and top of the line Appliances. Remarkable Stainless Vented hood hovers over perfect 5 burner Range with warming features. Bosch Dishwasher with all amenities and features. Cabinets and double door shelved Pantry have all conveniences for efficiency. Lazy Susans, pullout shelving, and lighted upper cabinets to showcase your crystal or china. Living and Dining room enjoy the ambiance of the Rock walled Gas/Wood Fireplace. Wood Engineered floors all throughout entire house for ease of cleaning. 3 Bedrooms with built-in closet organizer systems. Master Bedroom with walk-in Closet and on-suite Master Bath with Granite, Porcelain, Wood cabinetry...Gigantic Walk-in Shower with luxurious double shower heads. Upstairs Bonus Room can be used as 5th Bedroom or your family retreat. 3rd Beautiful Bathroom on 2nd level with granite, stone and double head shower. Again tons of storage and luxury features. 2-car Garage hosts large vehicles and storage. 200 Amp Panel with 100 amp Sub-panel ready for emergency energy back-up.Two dedicated Heat and A/C Systems. Powered with Solar! Large Patio off Living Room with grassy backyard all with block fencing. Water Softener and Purifier and Tankless Water Heater accommodate a large family. You will be amazed!" "Beautiful turnkey home ready for you and your family! Newly constructed in 2006, recessed lighting throughout, double pane windows and newer paint still in great condition. Two car garage attached to home and enters directly into the kitchen. 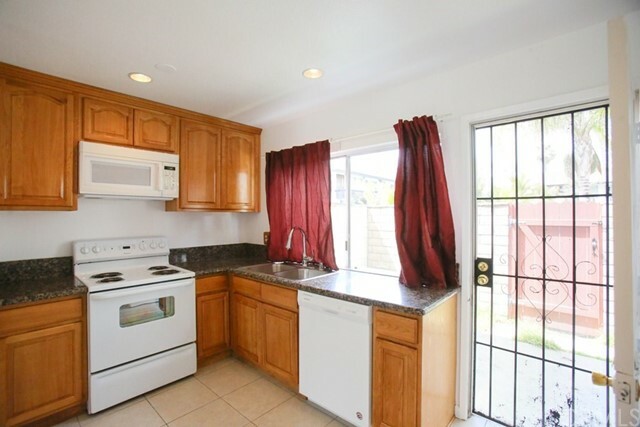 Kitchen is complete with stove and stainless steel appliances, plenty of cabinet space and a pantry. Four bedrooms and 3.5 bath, 2539 sq ft with spacious open floor plan makes this home feel much larger. This home is adjacent to the 2 community features, a small grass area and benches great for summer picnics and outdoor gatherings. Very low HOA covers neighborhood landscaping, lighting, guest parking and all other neighborhood features. 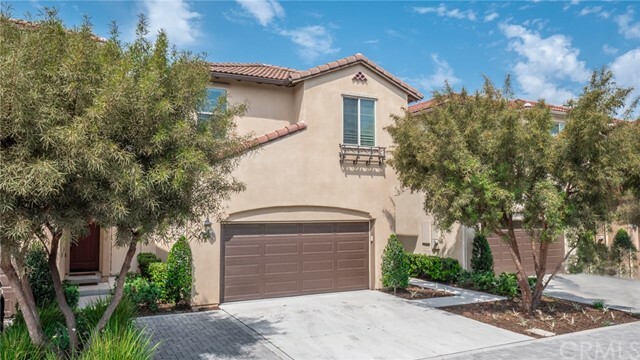 Close to shopping, schools, Knott's Berry Farm, Porto's Bakery, Buena Park Downtown, The Source OC, 22, 91 and 5 freeways. Don't let this one pass you by!" "RARE ON MARKET! 5 BEDS / 3 BATHS - (THE FAMILY ROOM CONVERT INTO FOUR AND FIVE BEDROOMS. 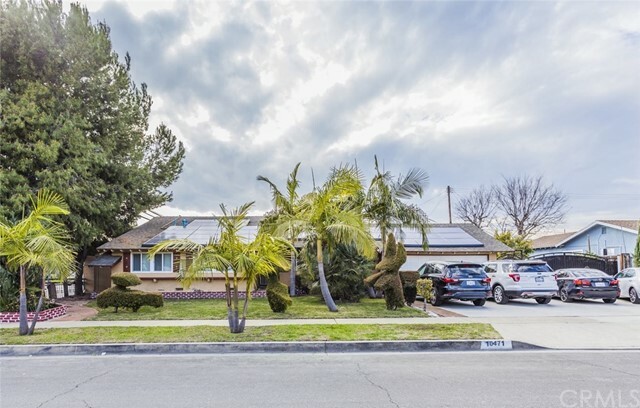 THE NEW OWNER CAN CONVERT BACK TO FAMILY ROOM) THIS PROPERTY WAS REMODELED RECENTLY - NEW PAINTING THROUGHOUT ALL ROOMS, NEW BATHROOM VANITIES, NEW LAMITE IN MASTER BED, 2ND BEDROOM AND THIRD BEDROOM, SPACIOUS LIVING ROOM TILE THROUGHOUT KITCHEN. 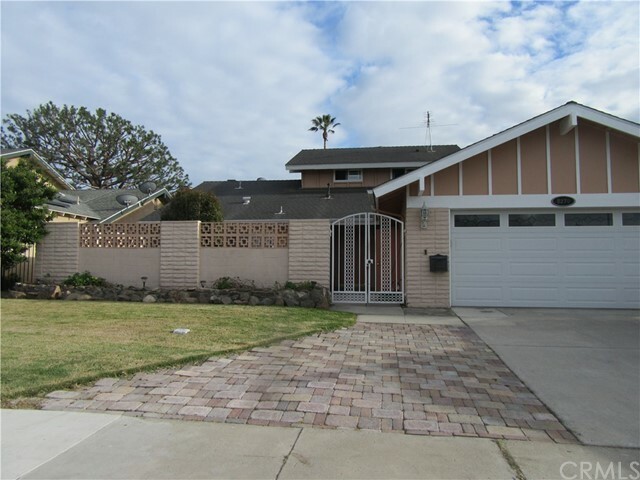 BACKYARD IS ENCLOSED WITH BLOCK WALLS AND FRUIT TREE - FRONT YARD PROVIDES PLENTY OF PARKING. 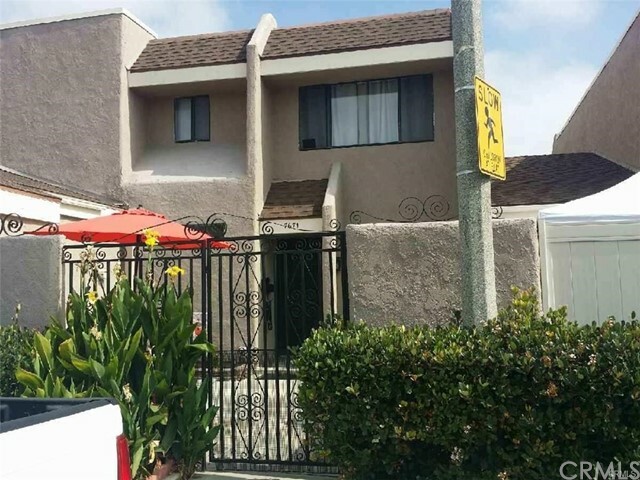 LOCATED NEAR SUPER MARKET, FREEWAYS AND SCHOOLS. THIS IS MUST SEE!" "Beautiful three bedroom two bath home. This house has newer interior , exterior paint, laminate flooring, ceramic kitchen counter tops, kitchen cabinets. appliances, dual pane windows and sliding doors. Family room addition with permit that is about 400sf. Backyard is great for entertaining with Solar heated pool, gazebo , rear patio and fire pit. Perfect for a new family, ready to move in. FAMILY ROOM ADDITION...!!! PERMITTED.."
"Located in a charming enclave of newer homes, this stunning 4 bedroom, 3 bath home is a must see. The home has been beautifully upgraded throughout. Dark wood floors flow throughout the first floor of the home. The spacious kitchen has been tastefully upgraded with granite countertops and stainless steel appliances, and opens to the dining room and living room. Large windows bring in the natural light. The large master bedroom features a bathroom suite with dual vanity, luxurious soaking tub, and separate shower. There are 3 additional spacious bedrooms and an oversized laundry room on the upper level. Centrally located near entertainment, restaurants, and shopping, this is the perfect place for you to call home. Low tax rate with NO mello roos." "Huge Price Drop for Quicker Sale, Will Not Last Long on The Market!!! Single story home located in Stanton. 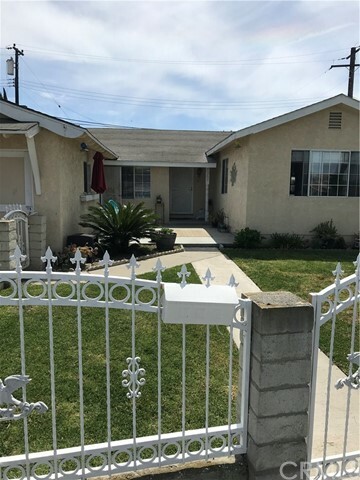 Closed to the corner of Cerritos Ave and Dale Ave, the property consists with 3 bedrooms and 1.5 bathrooms. Rear entry 2 car garage and large parking space that could accommodate RV or boat; granite counter top kitchen, stainless steel appliances, and much more. Closed to ABC Vietnamese Supermarket, minutes to Freeways (91, 22, and 5), closed to Asian Garden Mall (Phuoc Loc Tho), Disney Land and Knott Berry Farm. Must see!" 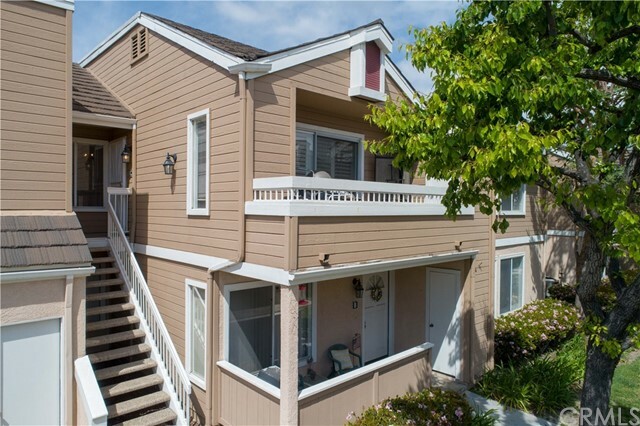 "Huge 2 Bedroom 2 1/2 Bath townhome with a 2 car attached garage with access. Both bedrooms have a full bath and cathedral ceilings. Half bath downstairs. Laundry facilities at upstairs hallway with plenty of closet space. Downstairs Livingroom has a gas fireplace and a dining area off of the kitchen. Upgrade kitchen counter tops finished in granite. The grounds include gated access and just a short walk to a sparkling pool and spa, adjacent to the barbeque area." "Two story, END UNIT town home style property with attached 2 CAR GARAGE. Upgrades include: Double pane windows, newer kitchen with granite and raised panel cabinets with pantry, trendy wood-style laminate on the first floor. FHA/VA approved complex. Spacious front facing patio with brick ribbons gives plenty of room for your patio table, BBQ and gardening. Vaulted ceilings in the living room and master give the home a wonderful open feel. There is a half bath and storage in the hallway that leads to the two car garage. The sectional garage door is insulated and has an opener. There is additional shelving added and side-by-side laundry hook-ups with 220 or gas for the dryer. Most windows have Shutters. The upper floor has two bedrooms and a shared bath with access from the hallway and/or the master. The master has two closets and an additional long vanity and sink in the dressing area. The full bath features a large oval tub, vanity with storage. Home is sold as is. The complex has 3 pool and spa. 24 Hour Gate Attendants. 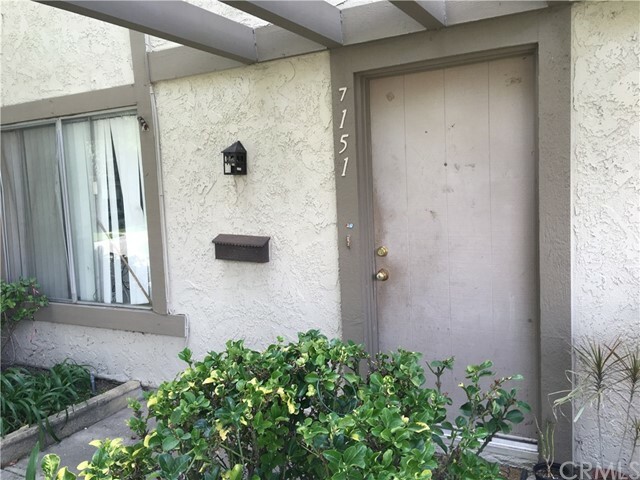 It is centrally located just off the 22 Freeway and Beach Blvd. New shopping and dining area is under construction right across the street. Included in this center will be In-N-Out Burger, Raising Canes, Chase Bank, Planet Fitness and a food court!" 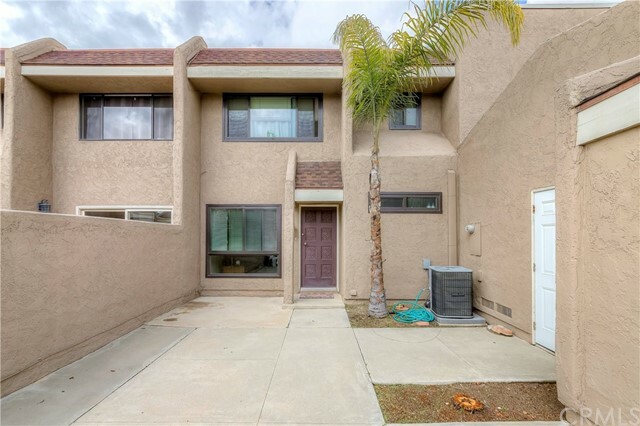 "Unique 3 bedrooms, 2 bath, 2 story home at the Stanton Park Community. Front has a private gate entry to a large and deep courtyard. Living room with a large window, ceiling fan and laminated wood floor. Kitchen with granite counter top and stainless steel electric stove and sink. Spacious eating area with ceiling fan and a slider to the back yard. Tile floor in kitchen, dining area and bathrooms. All bedrooms upstairs. Master bedroom with double door entry. Ceiling fans in bedrooms. Inside laundry. Home owner has American Home Shied and he will pay for one year to buyer. Large patio area in front & back for great outdoor entertaining. Association amenities include pool and spa. VA & FHA financing is okay." "Beautiful Town home, two story , 3 bedroom and 1 1/2 bath. Nice Front Patio and direct access to garage. You have to see it to appreciate it. 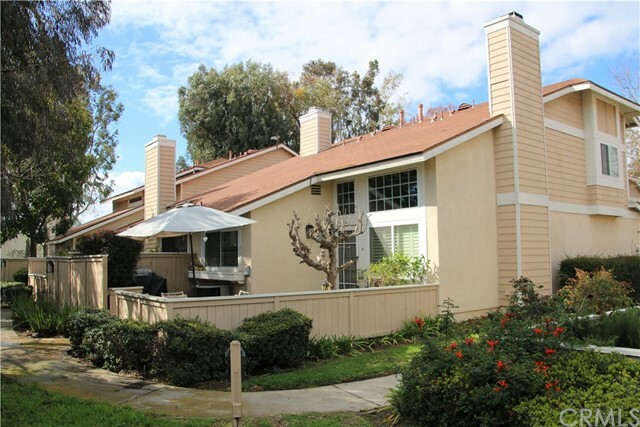 Close to shopping centers , parks and Cypress college." "Welcome Home! Top floor, end unit condo with cathedral ceilings, fireplace and a private balcony off of the living room. Newly painted throughout creating a fresh, clean move in ready home for you to call your own! The kitchen is spacious, includes a breakfast bar area and opens to the dining room as well as the living room offering a wonderful open concept. The newly carpeted master bedroom features cathedral ceilings, a window seat and an extra large closet. The 2nd and 3rd bedroom are a comfortable size as well with a wall of closet in each. The master bathroom has two sinks with the shower and toilet behind a privacy door. The shower/tub enclosures have been reglazed in both bathrooms as have the counter tops. Central heat and air and the recessed lighting is another nice touch. Your private garage is conveniently located next to your condo. The pool and spa area have recently had a face lift and are ready for your enjoyment. 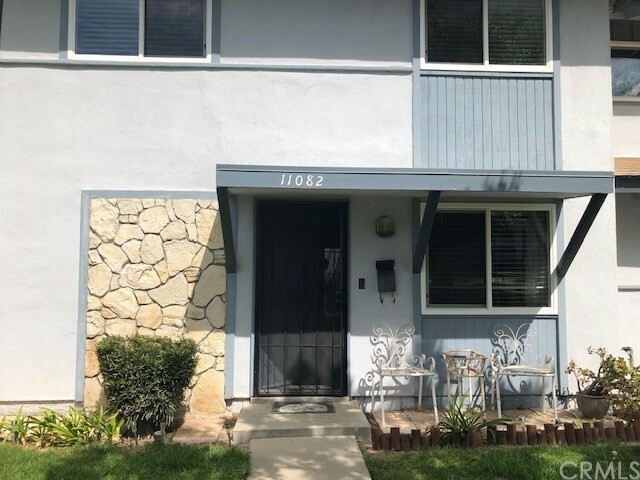 Briar Oaks is conveniently located to the 91 and 22 freeways, shopping, restaurants and a stones throw away from from Southern California attractions like Knott's Berry Farm and Disneyland. FHA approved complex!" "Clean three bedroom two bath, Two story townhouse located in Sunshine Village. Engineered hardwood floors throughout. New kitchen window is overlooking a cozy patio. Remodeled stairway lead to the three bedrooms on the second floor. Sunshine Village has well-maintained landscape, a pool, clubhouse tennis court, basketball court and a small dog park. The property is conveniently located near shopping, restaurants and the new Stanton Central Park . This property is a must see." 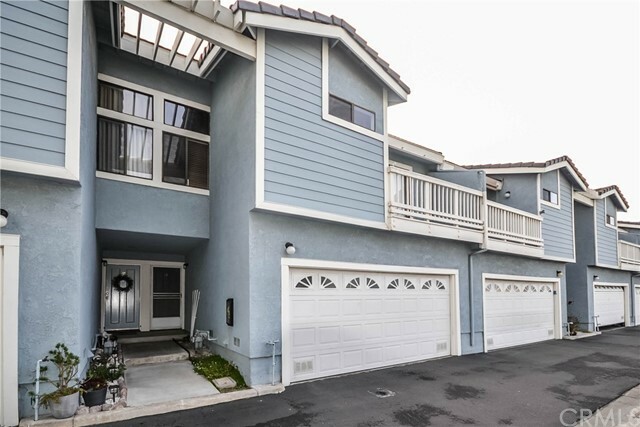 "Beautiful 2 story townhome is on the market! This affordable home features 2 large bedrooms with over size walk in closet, private balcony with city view, recently remodeled bathrooms, spacious living room with cozy fireplace, vaulted ceiling, formal dining area with ceiling fan, large private patio can be perfect for entertainment and BBQ, attached 2 car garage with direct access, newer laminated woodflooring upstairs, and sparkling community pool and spa. Located in close proximity to Beach Blvd. Easy access to major freeways." "Bradford Place condo, 2-story, 2-car garage, patio between garage and home." 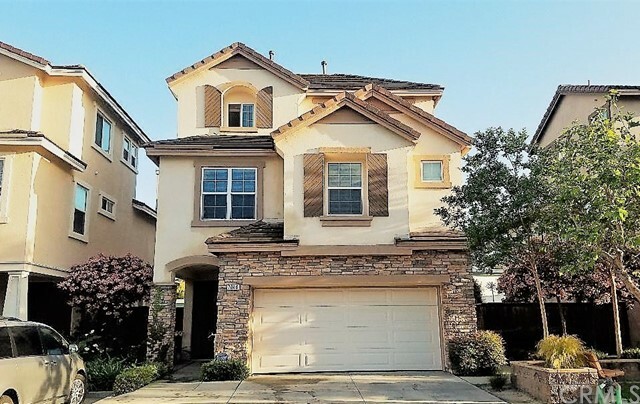 "Downstairs Unit in Popular Briar Oaks Gated Community. 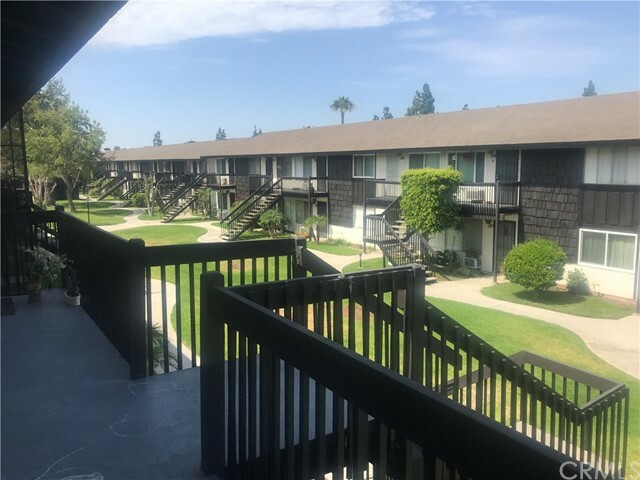 This is a spacious 2 bedroom 2 bathroom unit featuring an Open Floor Plan, Central Air and Heat and All Laminate flooring has been installed on all living room, hallway and all bedrooms and Indoor Laundry hook ups. 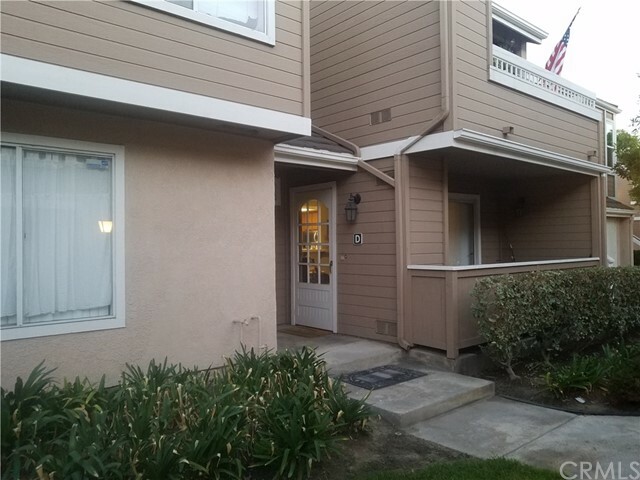 Location right of Cerritos and Beach with in minutes next to Knotts Berry farm and Soak City. Your future home awaits you with a cozy warm kitchen. The community has Pool and spa. Total two Parking is belongs to this unit: one car attached and one assigned parking space (#151) available and has plenty of Guest parking spaces available inside of community. HOA dues included basic cable service and trash. The community is FHA approved." "First floor, private patio, remodeled few years ago (kitchen cabinets, granite counter top, microwave range hood, dishwasher, tile floor, A/C, heater, recess lights, ceiling fans, popcorn ceiling removed), new paint. Low HOA ($250/month, it covers water/trash, hot water, building fire insurance, landscaping, swimming pool, spa, BBQ, $25 extra if use private washer/dryer). Residents pay only electric bill, no gas bill. The community has 2 laundry rooms and a fantastic pool, hot tub and clubhouse. An open floor plan allows you to enjoy hosting company while still maintaining privacy from the bedrooms. It is perfect for a starter home or for an investor looking to make extra income. Parking includes one covered spot, one open spot and parking on the street." "PRICE JUST REDUCED! This property won't last at this great new price. 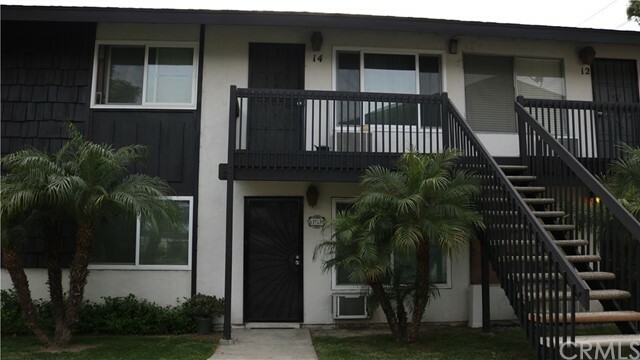 Fabulous 2bedroom 1 bath condo in the middle of Stanton. Close to parks and shopping, it's central location is perfect. The community has 2 laundry rooms and a fantastic pool, hot tub and clubhouse. This unit end unit location has extra privacy. An open floor plan allows you to enjoy hosting company while still maintaining privacy from the bedrooms. The bathroom has been upgraded with a new vanity and sink. Perfect for a starter home or for an investor looking to make extra income. Parking includes one covered spot and one open spot. Low HOAs make this even more affordable. Take a look and make this your next home!" 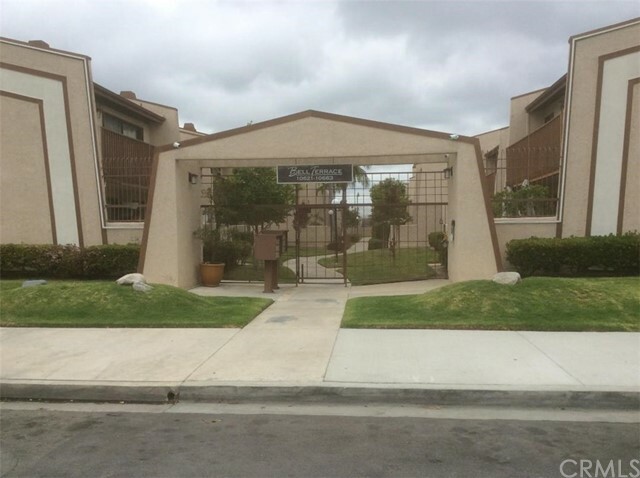 "Take advantage now of owning this Spacious and Upgraded Condo in Stanton with a great location bordering Cypress, Garden Grove, and Anaheim! This is a downstairs unit located on the inside near the pool. Private patio with laundry hookups is in the back. Brand new laminated wood flooring installed, crown molding throughout the house. Gated community with assigned carport, clubhouse, sparkling pool, bubbling Jacuzzi, and lots of beautiful trees.) HOA dues are $250.00 per month w/o washer/dryer hookups, and $275.00 with use of washer hookups. HOA dues include water and trash. Community amenities include pool, spa, storage, barbecues and picnic area, and two well kept laundry rooms. One carport, included with direct access to the unit as well as a parking pass for one uncovered space." 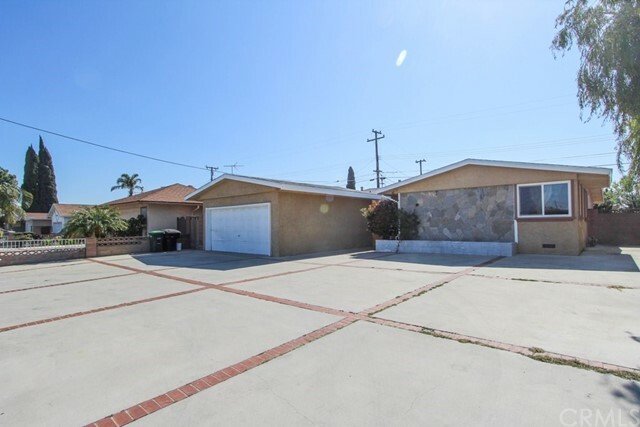 "Beautiful, family community in the middle of Anaheim, Stanton, and Cypress. Upgraded amenities, very well kept. 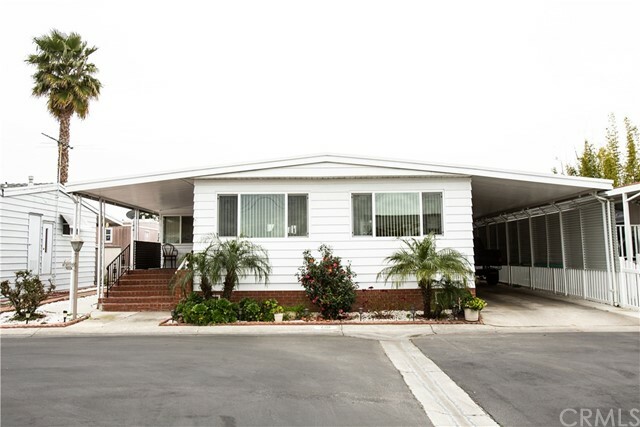 Fleetwood HM, 1993 model, 3 Bedroom, 2 Bath 24'6x50' (Approx.. 1,175 Sq. Ft.). Split floor plan ( master one ends - 2 guest beds at the other ends). Vaulted ceiling, walk-in closets, 3 cars parking, 1 storage shed, laminated countertops through-out, upgraded fan & lights in living room & guest bed 1, tub & shower combo in both bathrooms with linen closets. Tile flooring in both baths, kitchen and utility area. Carpet flooring through-out the home. Sky lights in both baths and kitchen area. Master bed with walk-in closet & sliding mirror closet. A/C and heating. Water softener. Shed included. All Age Community Space rent $1,125/mo Pictures may not depict exact home details. Information deemed reliable, but not guaranteed. All interested persons should independently verify its accuracy." 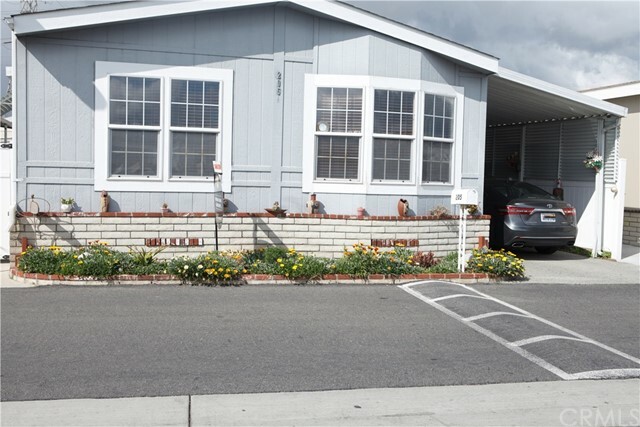 "Come see this nice manufactured home located in a well-maintained peaceful park in the Katella Estate. The home is complete with a good-sized master bedroom along with 2 bedrooms and 2 full bathrooms, complete with a designated laundry room inside. Outside of the home is a long, covered driveway along with a storage unit. The home is only steps away from a sparkling pool, spa, and an event room for hosting private parties." "Welcome to the Plaza Pines Estates 55+ Active Senior Community located in close proximity to freeways, shopping and dining. 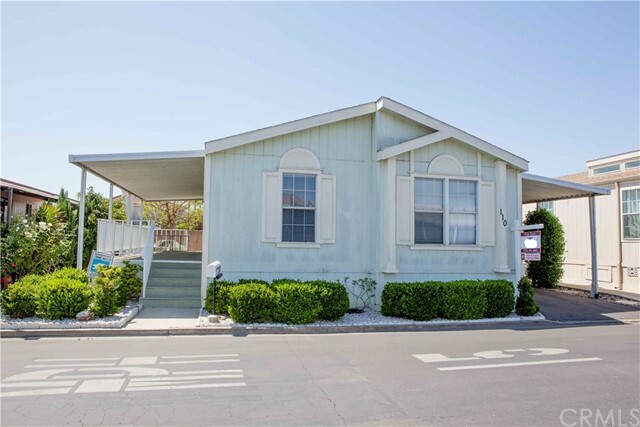 This spacious 2-bedroom 2-bath mobile home has an open floor plan as you enter the living/dining area and is conveniently located near the front of the park on a corner end street just a few steps to guest parking, the pool, and community recreation room. 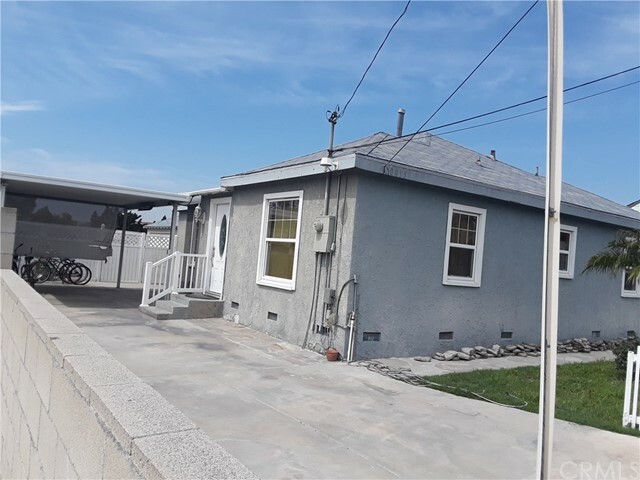 Relax in your own private mini patio fully cemented with new wooden fence, automatic sprinklers in the front grass area, extended carport, and a lot of extra storage in the utility area off kitchen with an enclosed porch/California room. Even has its own interior laundry room for your washer and dryer. Home was recently remodeled with new interior/exterior paint and porch deck, updated electrical outlets throughout, professionally installed new vertical blinds, dual pane windows, sliding door, and new showers in both of the extra large bathrooms plus new gold towel bar rods/toilet paper dispenser. AC and furnace are only 3 years old. Upgrades also included new hardware knobs and hinges for the gorgeous built-in China hutch. Master bedroom has mirrored closets and the master bathroom has a nice built-in vanity."